It’s a BMW, and it was built by Turkish engineers. The firm behind this project is Letrons, and these are actual cars they’re working with. 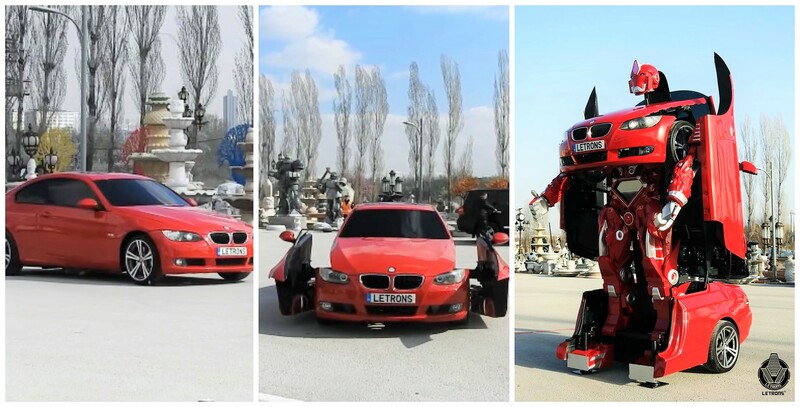 The one in the photo transforms in about half a minute from car to standing robot. 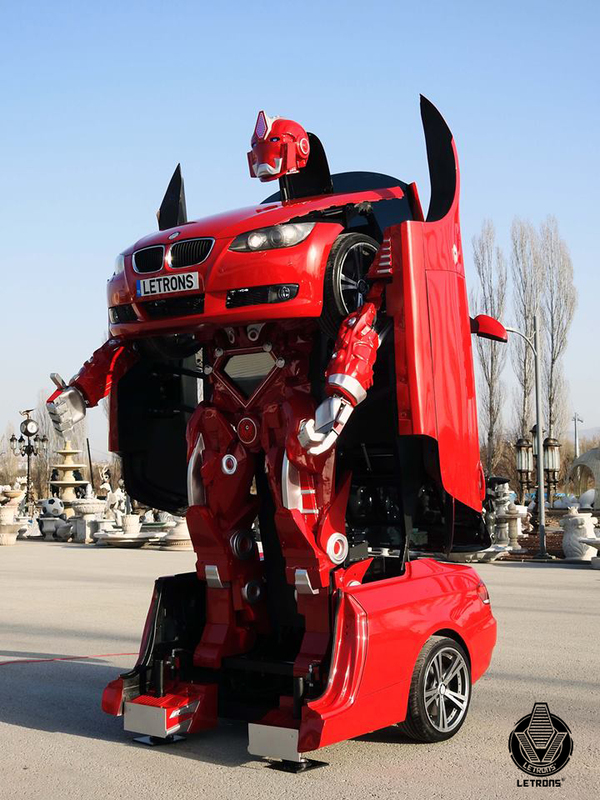 It functions as a car, but there is as yet not capability to have a human driver. They drive these cars by remote control. However, the company says that will be possible in the future. Letrons is selling these cars. They converted the one in the photo in 8 months. Letrons is planning to build a whole fleet of transforming BMWs. To visit Letrons’ website, click here.